Cuffless blood pressure monitors are widely expected to improve the management and follow-up of hypertensive patients by providing comfortable day and night monitoring. 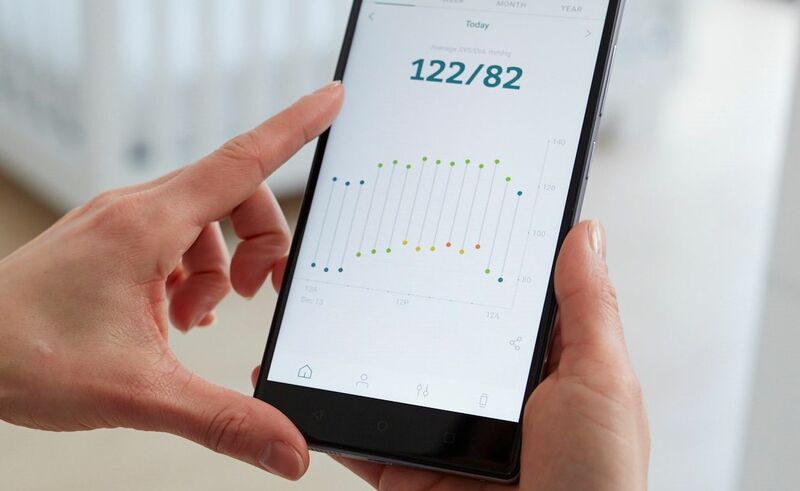 However, existing cuffless blood pressure solutions still require regular recalibrations to be performed on a daily basis, limiting usability and creating frustration for patients. Aktiia, a Swiss-US startup that develops medical devices to measure blood pressure monitors at the wrist, has now achieved a breakthrough. In a study with eight volunteers that has been accepted for publication at the 41st IEEE International Engineering in Medicine and Bioloqy Conference, Aktiia is the first to demonstrate that blood pressure measurements generated from signals recorded at the wrist using off-the-shelf optical sensors can remain stable for up to two months after calibration. This achievement propels Aktiia forward in development of a clinically-validated optical blood pressure monitor at the wrist. The technology is based on 15 years of research by its founders. Since its incorporation in 2018, Aktiia has translated this scientific knowledge into a fully integrated and beautifully designed cuffless bracelet. The technology uses the same sensors in existing wearables that measure heart rate, and reads information from vessels under the skin of the wrist. The data is then analyzed to provide a precise measurement of blood pressure, day and night. The Aktiia bracelet will allow 24/7 blood pressure monitoring without the hassle of interrupting a patient's day (or sleep) to take a measurement. In a second study which started recently at the Intensive Care Unit at the Hospital of Neuchâtel, the system of the start-up is compared to invasive measurements of blood pressure. The start-up is already in talks with clinical partners and regulatory authorities about further trials. Aktiia was founded in Switzerland in May 2018 out of a passion to create the best tool for diagnosis and treatment of hypertension. Aktiia's founders, Mattia Bertschi (CEO) and Josep Sola (CTO), previously contributed to research and development at CSEM, a prestigious Swiss research institute. They built a team of 12 employees and founded Aktiia to turn their years of pioneering work into a useful tool for people around the globe. With 1/3 of adults globally suffering from hypertension, this mission is more urgent than ever.